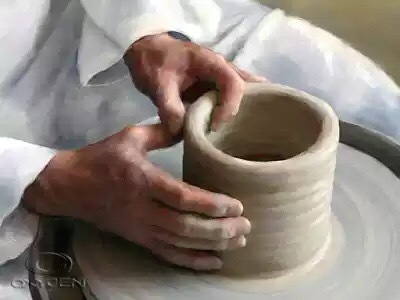 What kind of vessels would God use and what will be the criteria for selection? So today we will treat a clean vessel as one of the criterion for selection. As I grew up, this habit never left me to the extent of not even wanting to eat together with my own mum in the same bowl. My mum sometimes likes to serve my food in the plate she ate in to save me from the pain of having to wash so many dishes. And I am very sure none of my precious readers here will go for an unclean bowl for the purpose of going to eat in it whiles there are clean bowls around. Sometimes even though our bowls are already clean we still rinse with clean water! Now I want you to put yourselves in the shoes of God as I ask this question. There is the need to make conscious efforts to be clean and remain as such so that when the time the Master requires us for honorable purposes comes, we won’t be passed on just because we are dirty! Whatever it is you are involved in, remember that if it is dishonorable, God would not use you for any honorable purpose, you will remain a commoner only good for the kitchen sink and nowhere else. Father thank you for Your word.I surrender myself to you to be cleansed in other to be used for honorable purposes. ← Before You Judge, Examine. Amen God bless you too! Thank you for your submission, dear. Other parts of this topic will follow soon enough😊. Like we consciously take out time to wash clean dishes before us, there is need for me to consciously clean my vessel for God. Exactly, if we as humans do not use a bowl until it’s completely clean why give God a dirty one?? Thanks for passing through Tamie!